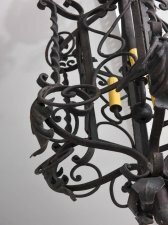 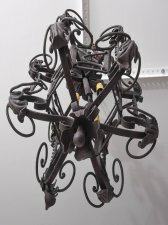 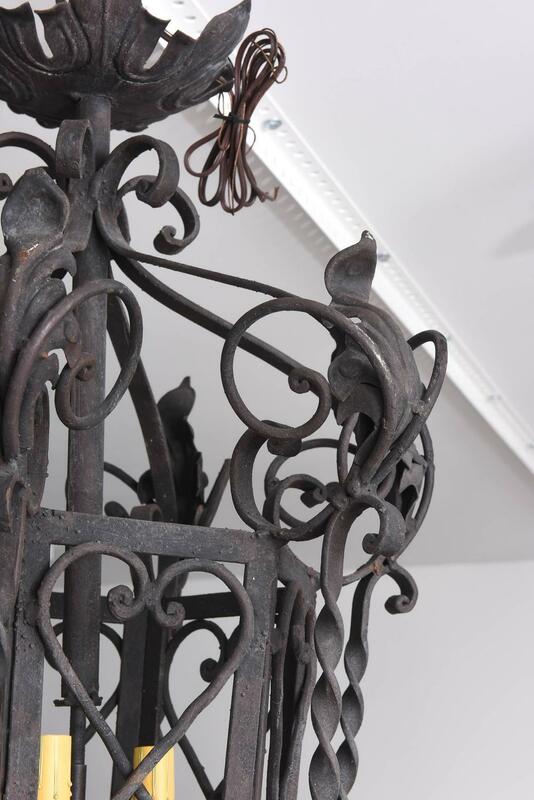 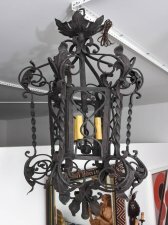 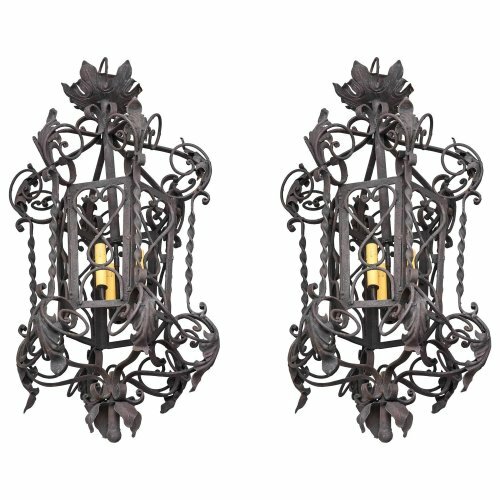 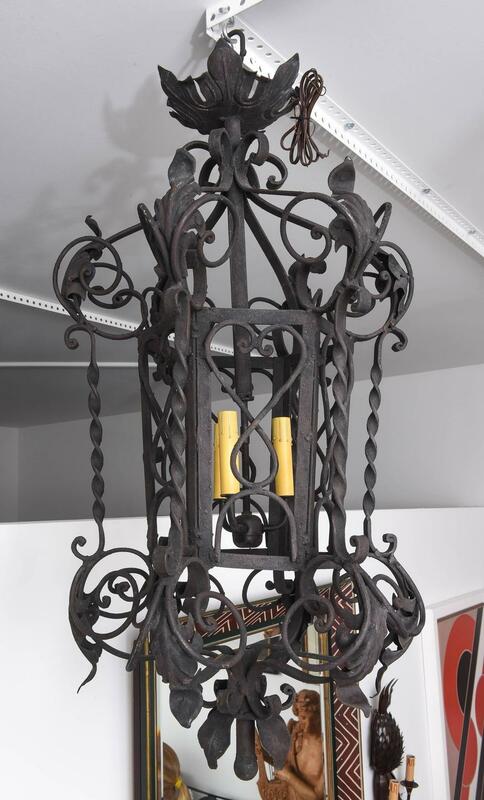 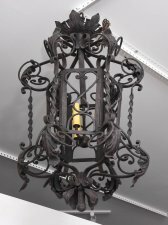 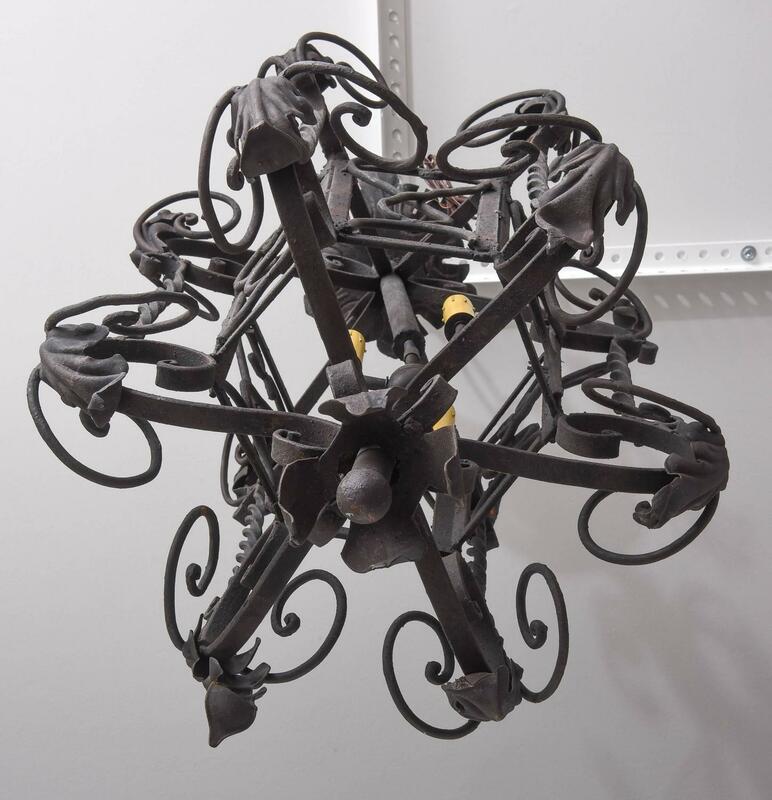 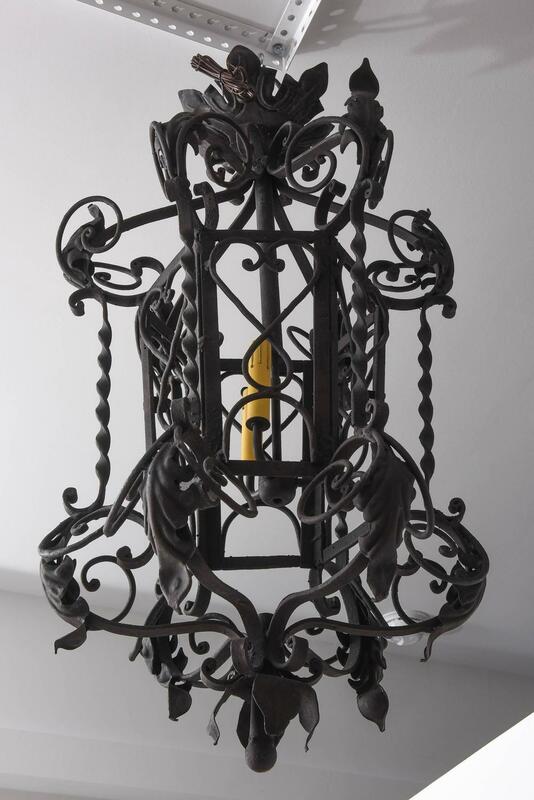 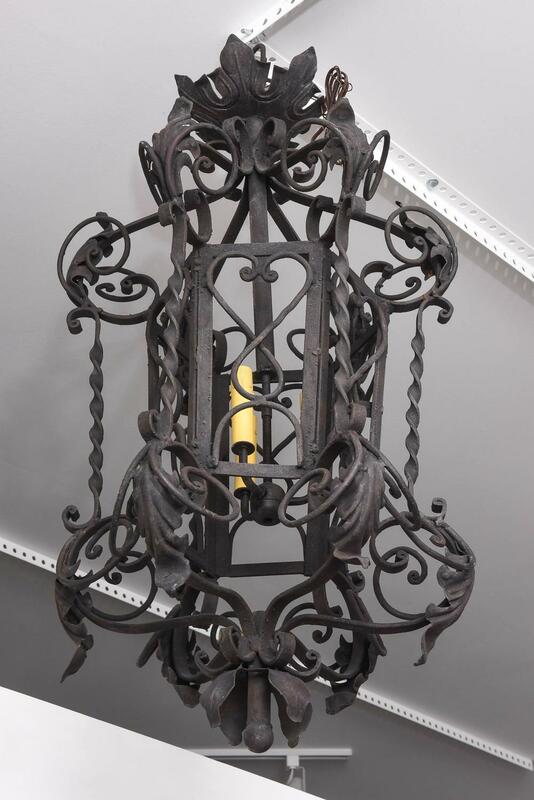 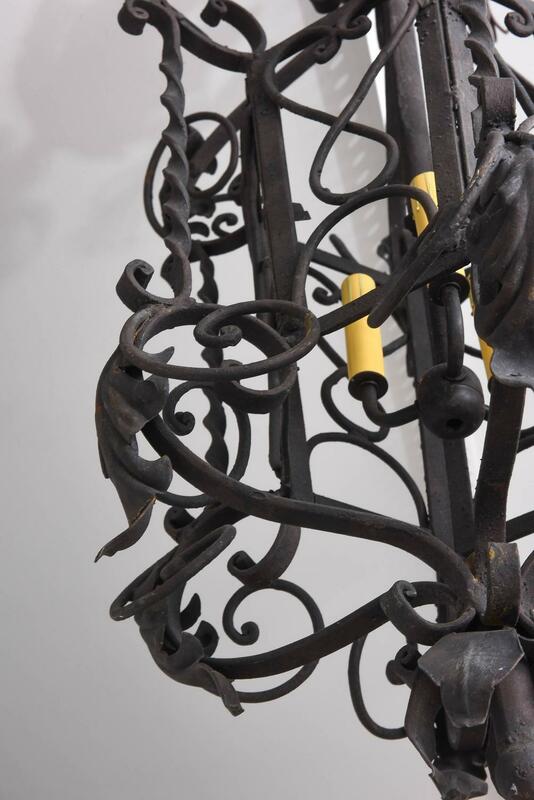 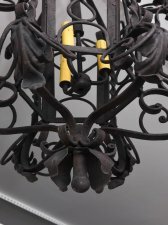 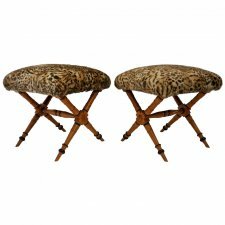 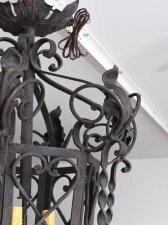 This pair of wrought-iron chandeliers are very much in the Spanish-Colonial stye of the 18th Century. 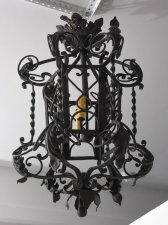 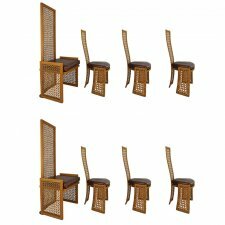 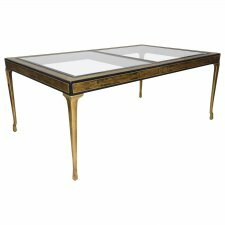 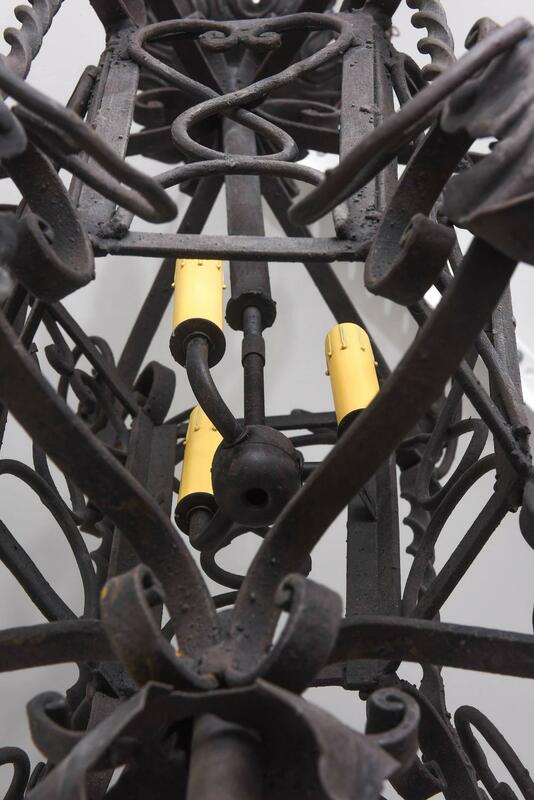 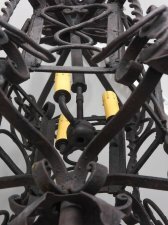 The six-sided central cage is surrounded with acanthus leaves, spirals and stylized hearts. 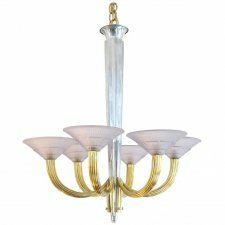 Note: The piece requires three candelabra based bulbs.